Certification is the guarantee that the diamonds that you are buying are purely natural or enhanced. This certificate gives the buyer an insight into the making of the diamond. You get to know of the weight, color, clarity and cut of the diamond. A certificate will not tell you of the origin of a diamond but only of its attributes. Enhanced diamonds are artificially treated gemstones that are lower in price and quality as compared to natural diamonds. To a naked, untrained eye these diamonds look of the same quality as the natural diamonds but a certificate guarantees what you are buying. It is a piece of paper called the Diamond grading report. A typical report for certified diamonds tells you about the shape, dimensions, carat weight, color, clarity, standard of finish, and cut grade. 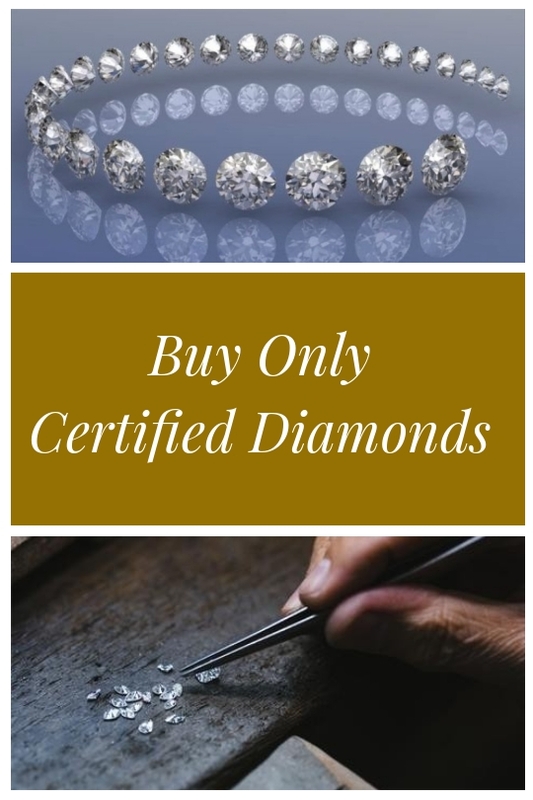 Why buy uncertified or self-certified diamonds? The only reason for you to buy such loose diamonds is their cheap rates. But the trouble here is that you may not even get what you are paying for. That is why certified diamonds have an edge over those without one. They have been tested, analyzed and graded by an experienced, professional gemologist. This guide intends to simply your diamond shopping experience, and we hope it did. Buying certified diamonds from the right place ensure your money is invested in the right place. Hudson-Poole Fine Jewelers offer certified diamonds of different grades for different needs. Visit their store- Greensboro Ave, Tuscaloosa, Alabama- or their website- http://www.hudsonpoole.com/– for specialized guidance.